Jeremy Morgan is a mtb racer with the Twin Six team and the rider behind the blog RubberSideDown and he is living in the Feed Zone. 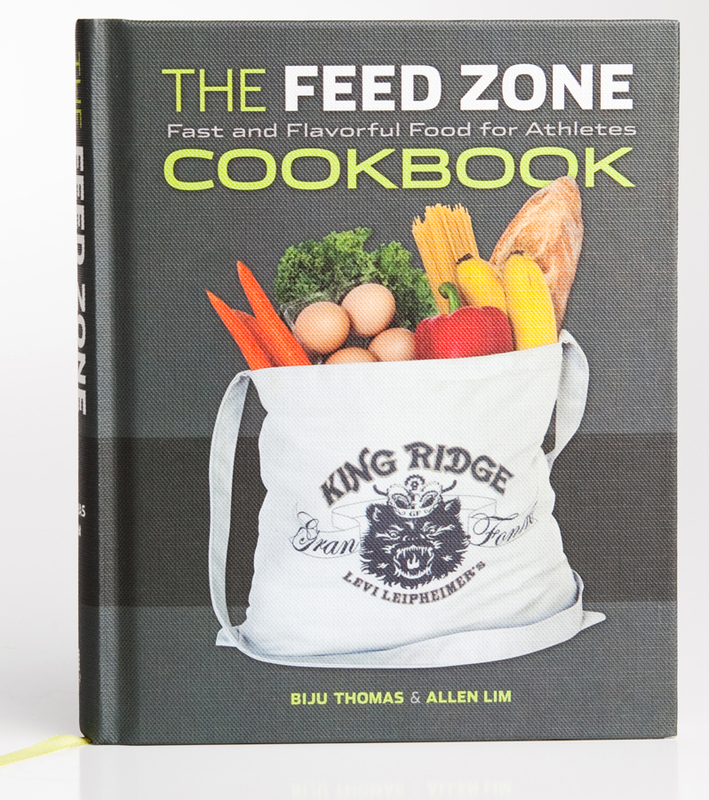 In this blog post about Savage CX, a 50-mile mountain bike race in North Carolina, Jeremy talks about Feed Zone eating during his real-life race. 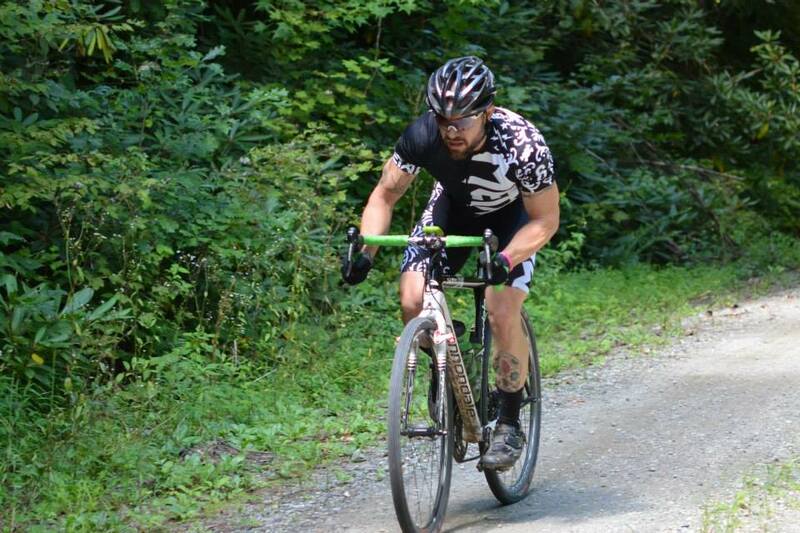 He gave us his permission to repost a few sections, but you should go check out his race report. It was a gritty one with a lot of back and forth! “I used the Bitter Chocolate and Sea Salt Rice Balls during the Savage CX 50 mile gravel grinder as my only source of food during the race along with Skratch Labs Hydration Mix. I made these two nights before the race and kept them in the fridge at home. Then as you can see in the photo I wrapped each individually in plastic wrap and had them in a container that I kept in my cooler while camping out the night before the race. When I wrapped them I folded all the corners up and twisted them to make it easier to open with one hand and my teeth. Had to make it easy since I didn’t know if I would be on gravel or a road while eating. My meal before the race was the Angel Hair Pasta with Sweet Corn and Bacon recipe (a favorite of Jeremy’s from way back in late 2011 when he was a Feed Zone Test Kitchen volunteer). One of the only changes I made was to the type of pasta used instead of angel hair. 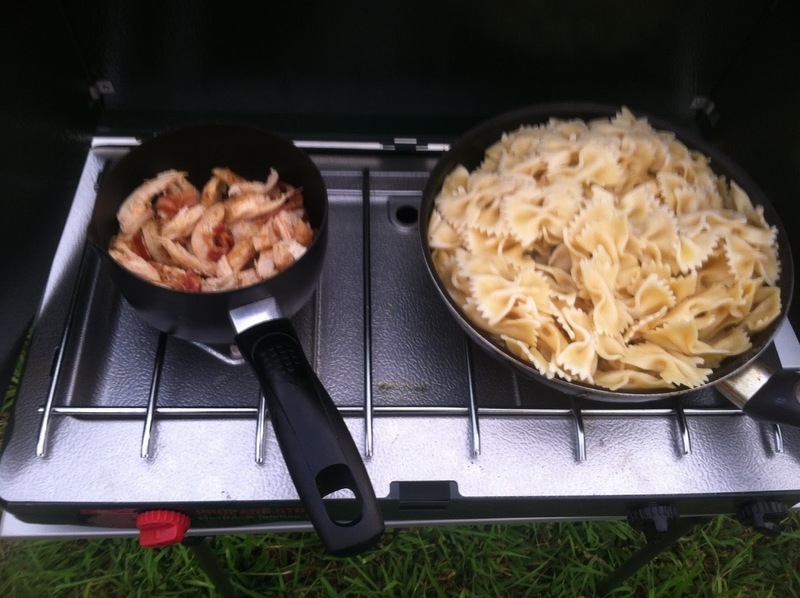 I cooked the pasta, bacon, chicken at the house and had them separated out in containers to cook on the gas grill at the campsite the night before the race. For the pasta I added the olive oil to the pasta in the container to make it easier once at the campsite and didn’t have add anymore to the pan. It made this easy to just reheat these ingredients and it cut down on the prep time that night. 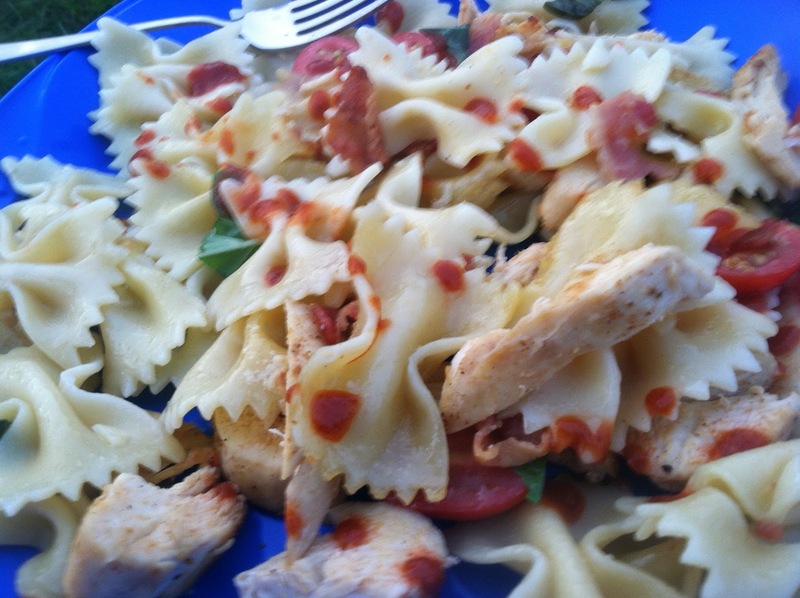 While these ingredients were reheating I cut up the cherry tomatoes and basil. The one ingredient that I left out was the corn and only because I forgot a can opener. Once all done I combined the items in the pan and it was time to eat. To add a little spice I used Sriracha to give it some heat. 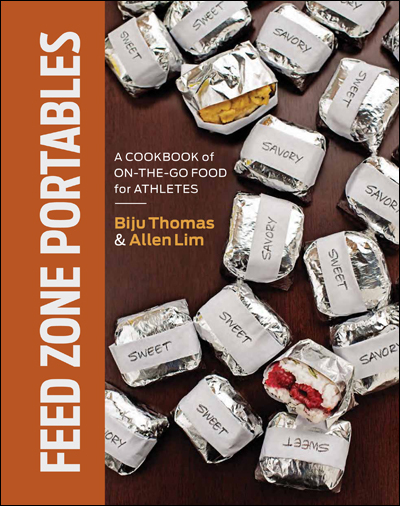 This is one of my favorite meals out of the Feed Zone Cookbook. For breakfast the morning of the race I used the French Toast recipe, but I unfortunately forgot to take a picture of it cooking that morning. I did a Labor Day group ride that was roughly 40 miles, so this was a good time for me to try another recipe with this being the Sweet Breakfast Burrito. For the oatmeal I made it the night before with the overnight refrigerator oatmeal recipe. This is just adding dry rolled oats with vanilla greek yogurt and some milk to get the consistence you want. Stir it up, put it in the fridge and it is ready the night before. I like making a large amount of this that can be used for 2-3 mornings if needed, especially with kids. 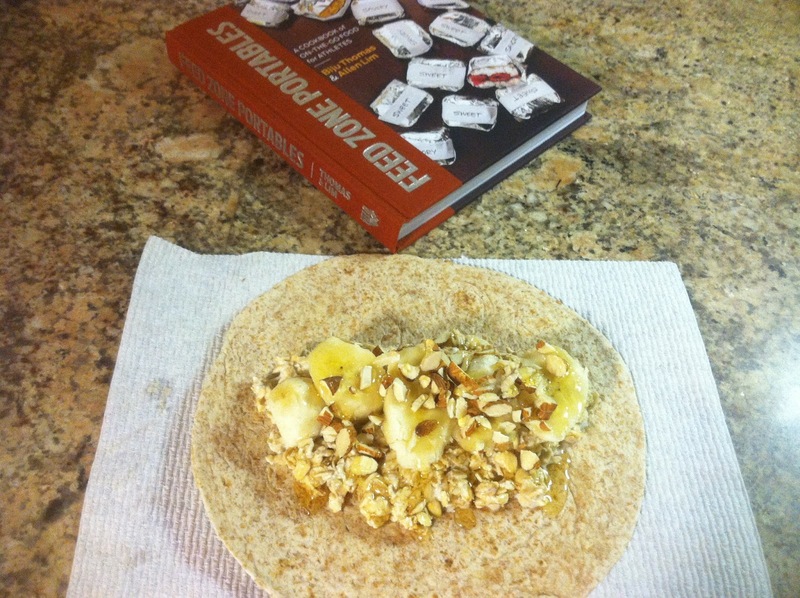 For my burrito I added the overnight oatmeal, chopped almonds, banana and honey. I had this about two and half hours prior to the ride and only used the Skratch Labs on the 2 hour ride. Never got hungry on the ride, but once home I was ready to eat. Another quick recipe that it took me less than 3 minutes to put together since I prepped the overnight oatmeal and chopped the almonds the night before. This, folks, is how you ride, race, and eat in the Feed Zone. 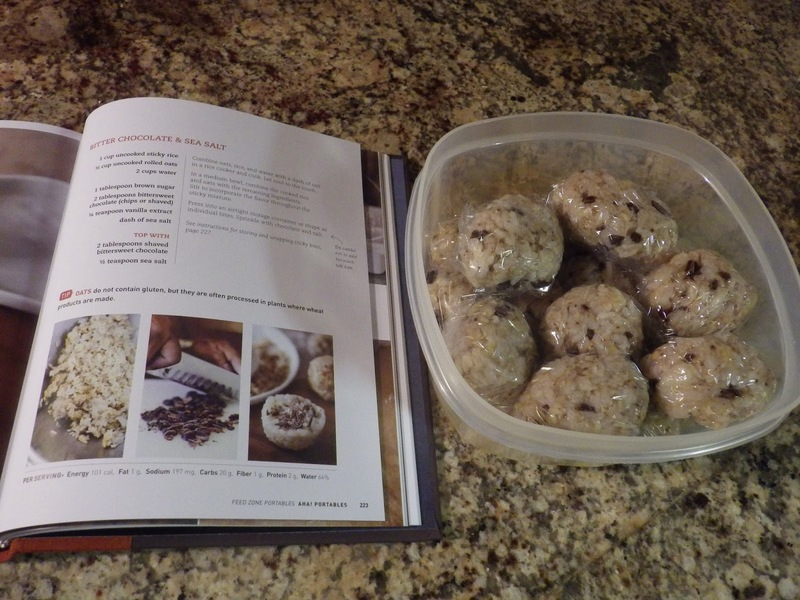 I bought the cookbook a few weeks ago. I’m just getting started using it. Very easy to follow. Not usually a big rice fan but I may have to learn to like it. Excited to try many of the recipes. Thanks for the suggestions.